You may have heard of microdermabrasion before, but you might not know how lucrative and beneficial it can be from the salon standpoint. With microdermabrasion training from Beaulaz, you can begin servicing clients who are looking for an accessible, surgery-free, instant facelift. Microdermabrasion has become even more popular over the past few years, and has created a very unique market. You deserve to capitalise on all the people looking for healthier, younger looking skin. Microdermabrasion is just one of the many aesthetic and therapeutic services you can offer once you’re qualified with NVQ courses at Beaulaz. Thousands of women look older than they feel due to stress, pollution, and sun damage wreaking havoc on their face. Having wrinkles by age 30 is no longer an exception to the norm! Men and women will always want to feel good about themselves and keep their skin looking young as long as possible—and it’s not easy to achieve safe, effective results with home kits. With the microdermabrasion training course at Beaulaz, you will learn everything there is to know about this delicate beauty procedure. Microdermabrasion involves using rough grained tools to gently exfoliate the top, dry layer of skin to reveal the healthy, revitalized layer underneath. 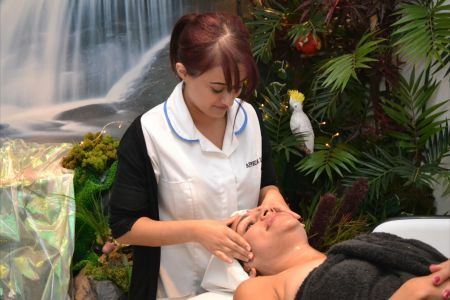 This is an ideal qualification for experienced beauty therapists to acquire. Microdermabrasion training will improve your resume, job options, and salon client base. After you’ve received your completion certificate from Beaulaz, the beauty industry opportunities available to you will be endless. With experience and practice, you can work at any salon or spa and feel confident knowing that clients will always need and value your expert services. Thousands of men and women are looking for an experienced beauty therapist to help them look their best, and the only thing standing between you and their patronage is microdermabrasion training from Beaulaz. Click here to contact us today for class schedules and information and begin the journey to a better career.